Growing rich does not only involve making fun through your business. There are smart ways of growing your wealth without working too hard on one particular activity. Investments are the best way of letting your money multiply without having to do much. Finding alternatives and finding methods through which you can even put your savings to some use is the best way to earn more. Although working hard is an elementary part of our lives, working smart is an option for all of us. If you are earning money by way of your personal business or are earning money through your job, there are chances that some funds have accumulated in your bank accounts. If you let it sit there, not only are you giving yourself a chance to spend that money but are also losing money on interests on the capital. Invest in Land: Land or property is the best way to earn money and fast. Investing in properties or land can help you multiply your wealth as soon as possible. Prices for properties and lands hardly ever go down. However, this type of investment is not liquid and does not offer you quick cash when you need it. You have to be patient and wait for the right time to sell off your property at a profit. Try the Stock Market: If you have never invested in the stock market, then it is advised that you start small. Do not put in all of your savings and money into the stock market right from the beginning. Stocks, equities and another kind of securities are highly liquid and provide you good dividends, payable as per the company’s rules. In case of an emergency, you can sell these securities to make quick money. Invest in a Money making course: It may seem like a silly option for some, but investing in yourself is one of the best things you can do for yourself. A money-making course helps you understand the various facets of the investment market, educates you about what kind of securities to purchase and how to manage your wealth along with investing your funds. These types of courses help you understand investments and investing at their elementary level, which helps you for the rest of your lives. Cryptocurrencies Trade: Just like the stock market, cryptocurrency trading is a legit way of earning your money. 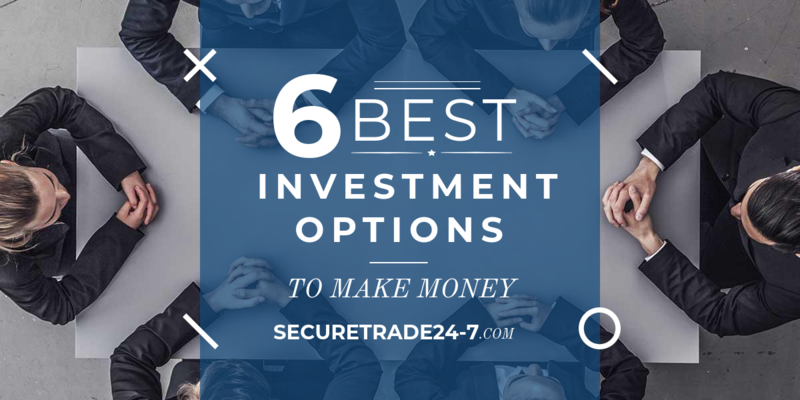 You will need an account and will need to convert your cash, as much as you want to invest. And then you can sell and buy coins as per your choice whenever the market is in your favour. Furthermore, since cryptocurrencies are basically currencies, you can directly use these to purchase things in case you run out of cash. Other than this, if you want to pull out some money from the market, you can easily raise a request with the merchant bank after you sell your cryptocurrency! 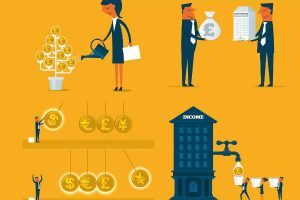 Exchange-traded funds (ETFs): Investing in ETFs is considered the best way to invest money in the UK. These funds work just like stocks and are traded on the stock market as well. However, one of the best reasons to invest in these funds is that these are easy to buy as they are low-cost funds, they are tax efficient and are easy to trade. Usually, these funds can be tracked with the help of an index. With good exchange rates and high liquidity, these funds are popular in Europe and the UK. Bank Fixed Deposits: If you have a hard time trusting anything else with your money, the bank’s fixed deposits are the best way to go about investing your money. All kinds of banks have this feature. However, the interest rates for the fixed deposits offered by every bank are different. Find the most suitable interest rate offered by a bank and start earning by letting your funds simply sit easily. Investment is a smart way of earning money from the money that you have already saved up. So, do not let your wealth sit idle, invest the money in a place where you are comfortable and start earning!